ENJOY AN evening with a COLLECTIVE GROUP OF over 20 ARTISTs DISPLAYING MIXED MEDIA, PHOTOGRAPHY, live PAINTING , and VARIETY of performances. Art, Food, and Drink will be AVAILABLE to purchase. 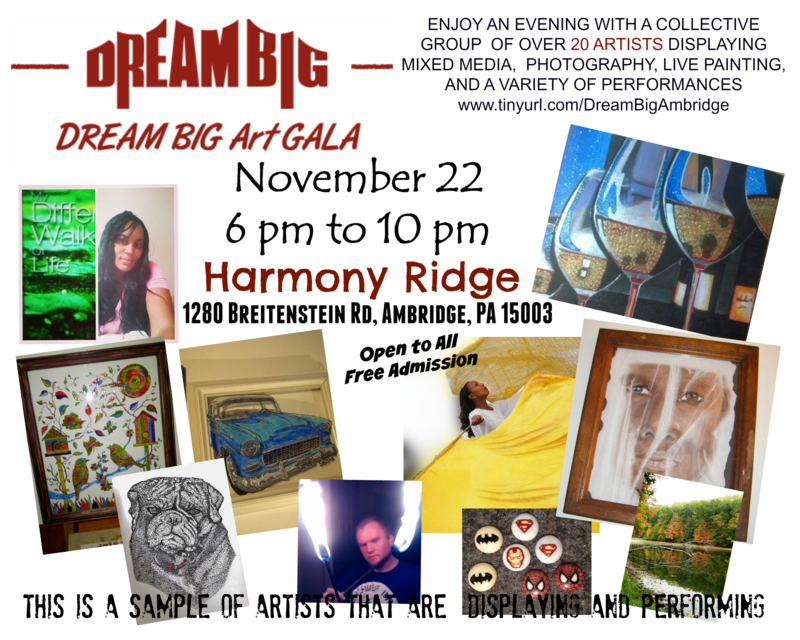 Harmony Ridge VIP Room Access will be given to all who make the suggested $15 donation to Art in the Bridge Collaborate Effort.